31 March 2012: Seoul began building a metro network in 1971, with the first section of line opening in 1974. After a dramatic expansion in the 1990s it continued to grow significantly in the first decade of the new century though not without controversy. Unusually, the component parts of the metro and urban rail network are operated by a multiplicity of agencies and companies. The network serves a city population of more than 10 million people and, increasingly, a wider region. Over 48 per cent of the Republic of Korea population - some 23.5 million - live in the capital region even though it occupies only 12 per cent - 11,700 sq km - of the area of the country. Although the Seoul city population has been static recently other parts of the capital region continue to add population and road congestion is a major issue. More than 6.5 million people commute daily within the capital region. The Seoul capital region is made up of three major political entities. These are Seoul Metropolitan Government, Incheon City Council and Gyeonggi-do Provincial administration. Gyeonggi-do forms a donut configuration around Seoul. The largest city in Gyeonggi-do is Suwon and there are several other large city administrations within the province geography. Incheon is to host the 2014 Asian Games. This provides a ‘political’ deadline, which is boosting the pace of project delivery. Since 2005 the overall management of mobility within the capital region has been the responsibility of the Capital Region Transport Association. The introduction of this structural reform allowed for more co-ordinated policy and investment and a common fare system on bus, subway and urban rail services. Seoul Metropolitan Government (the upper tier local government body running Seoul city) is the owner of two public corporations, which are responsible for Lines 1  8 of the metro system. Since political reforms in 1995 it has worked alongside 25 autonomous district councils. Before 1995 there were devolved district committees of the city government. Seoul Metropolitan Subway Corporation operates the first group of lines, numbered 1  4. 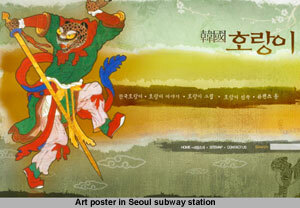 Re-named Seoul Metro and re-branded in October 2005 it operates on 138 km of routes and serves 120 stations. Seoul Metropolitan Rapid Transit Corporation is responsible for Lines 5-8, which were built in the 1990s. When the expansion policy was being finalised in the 1990s there was a discussion about how the new lines should be operated. Construction of Lines 5, 7 and 8 began whilst this issue was still the subject of public debate. At the beginning of 1994, coinciding with the start of construction of Line 6 it was announced that Lines 5-8 would be operated by a new entity. Seoul Metropolitan Rapid Transit Corporation was established later that year. As the need for services across the whole of the capital region has became more pressing the involvement of KoRail (formerly Korean National Railways) has steadily expanded. Korail is a state owned corporation but since 2000 the creation of additional metro and other urban transit lines using the private sector through forms of public private partnership procurement has also been a principal policy and delivery mechanism. This approach has led to some financial challenges for national government whilst legal challenges have affected local government. Investment and continued expansion was boosted by the 2005 reforms, which helped to facilitate a unified system of travel products for customers and allowed public transport to compete more effectively with the private car. The original sections of Lines 1  4 were built between 1971 and 1994 and are run by Seoul Metro. These lines typically have stations at close intervals within the city and predominantly serve the central and inner areas of Seoul but they have been extended beyond the city boundaries into more suburban and new town areas by means of physical connections with KoRail suburban routes. Many of these sections of the infrastructure have been newly constructed or upgraded by KoRail to permit frequent passenger services. The Seoul Metro vehicle fleet has been gradually modernised during the first decade of the 21st century. 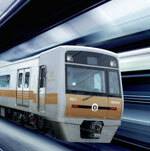 By 2012 most of its 200 train-sets consisted of WVF controlled cars built by Hyundai. Most formations are ten-car though the company also operates in four-car and six-car formations along quieter stretches. Daily journeys exceed four million, though many of these are made by people who are making a journey that also includes travel on other lines. Seoul Metro employs 10,000 people. A first phase of Line 5 opened in November 1995 and further sections were opened during 1996. By the end of 1996 Line 5 was fully open. It operates across 52.3 km and includes 51 stations. First phases of Lines 7 and 8 also opened in 1996. Line 8 was completely open by July 1999. It has 17 stations and 17.7 km of route. In 2000 the rest of Line 7 opened. It is a long route stretching across 46.8 km. At the end of 2000 the original building programme was completed when Line 6 was fully opened. It has 34 stations. SMRTC operates 152 km of route with 148 stations on 4 lines. It has 200 six car trains and links the lower density outer sections of the city region with the central quarters. Between 2000 and 2011 the daily average of users rose from 1 million to 1.7 million. SMRTC employs 6,500 people. Altogether, the system was extended by 160 km during the 1990s. The longest route in the Seoul metropolitan area network is Line 5 which traverses 52 km, though if the KoRail operated and Seoul Metro operated sections are added together some of the Line 1 corridors now exceed that. Line 1 operates with some divergent branches. Since the early 2000s the emphasis has been on bringing in private sector involvement. Veolia Korea operates Line 9 which was built from 2005 by a consortium led by Hyundai Rotem and Veolia. The first phase opened in July 2009. AREX, which provides fast travel to/from Incheon International Airport was the largest private sector investment in Korean infrastructure thus far and was built by a consortium led by Hyundai Engineering and Construction which has a 30 year operating concession. The Sin Bundang Line which opened in 2011 is another public private partnership scheme and involves Doosan Engineering and Construction and Hyundai Rotem. The new mostly elevated Everline Rapid Transit System is being built by the Yongin Rapid Transit consortium led by Bombardier. Their rivals Siemens are part of the consortium delivering a rapid transit system in Uijeongbu, north of Seoul. KoRail operated seven routes within the metropolitan network in 2012. Its 2011-2015 development plan envisages the creation of more new lines before 2020. The company’s routes include the original Bundang Line and the Gyeongchun, Jungang, Anson, Gyeongui and Ilson lines. Several of these are operated as outer elements of subway lines. The Metropolitan Transit Business division of KoRail is responsible for 480 km of route, 2,000 services a day and 2.45 million journeys a day. Of these, 288 km and 144 stations are on the lines and part-lines it operates within the Seoul integrated system. KoRail’s steadily expanding services have not been entirely bereft of controversy. Steep reductions in the numbers of staff led to a much higher media focus on safety and any derailments are now front page news. The Korean Railway Workers Union claimed that country-wide there were 10 derailments between 2008 and 2011 and called for inspections to be increased. The (original) Bundang Line opened in 1994 between Seonneung and Ori and has since been steadily extended. It was built to connect the city with Bundang, a large, planned development to the south and south east of Seoul which was laid out in the 1990s and by 2012 had a population of around 450,000. By late 2011 Bundang line services operated at a 4 minutes frequency between Seolleung and Giheung. Another extension north towards Wangsimni is under construction. The Sin Bundang line (New Bundang line) opened as a 17.3 km route on October 28th 2011. The opening had been delayed by flooding on the line. Intended as a first phase of a longer line it links Jeongja and Gangnam. Construction of the predominantly underground line began in 2005. It has been built by the Sinbundang Railway consortium on a public private partnership contract. It is generally known as the DX line. The consortium is led by Doosan Construction and Engineering Co. and includes other major Korean companies Posco and Daelim Industrial. Trains are operated by NeoTrans, a subsidiary of the consortium. International suppliers include the Thales Group. There are currently six stations. The line is automated and initially operated with 12 six car train sets manufactured by Hyundai Rotem. In future, it is anticipated there will be extended to eight or ten car sets. Maximum operating speed is 90 kph underground and 110 kph on the surface. The Sin Bundang line provides much quicker journey times between Bundang and parts of central Seoul than the original Bundang line. The second phase has been planned as a 10 km extension from Gangnam under the Han River to Yongsan. It will have six stations and add more interchange opportunities with metro lines, suburban and high speed services. The Han River dominates Seoul which it traverses in a broadly west-east alignment. The new and extended subway and urban rail lines have added to the number of crossings of the river significantly in the last 15 years. Everline which will connect Yongin city in Gyeonggi-do province to the vast amusement park at Everland will use Bombardier CITYFLO 650 automatic train technology. There are 15 calling points on the 19 km route. Completion and opening of the Everline system has been delayed by legal challenges. Yongin City, which has a population of about 750,000, is led by mayor Kim Hak-Kyu. It was ordered to pay the consortium 516 billion won (436$US million) in October 2011 by the arbitration court run by the International Chamber of Commerce. This equates to 40 per cent of the city’s entire annual budget. It is anticipated that a solution not based on cash payment will be found. A second stage arbitration began in February 2012. The system, which began construction in 2005 should have opened in 2010. In early 2012 no opening date had been confirmed. An opening date of June 2012 has been announced for the opening of the first route to use the automated VAL system in South Korea. A consortium formed in 2005 has built the Uijeongbu Light Rapid Transit system using the VAL automated technology developed by Siemens plc. Construction began in 2007. Uijeongbu is a city in Gyeonggi-do province 20 km north of central Seoul which has grown significantly since 1990. Its 2010 population was 417,000 and the city anticipates 500,000 by 2020. The 11 km VAL line is semi-circular and includes 15 stations between Balgok and Tapseok. It is mostly elevated and runs through the centre of Uijeongbu. Interchange with the KoRail operated northern suburban section of Line 1 of the Metro is made at Uijeongbu and Hoeryong. Linking the principal hubs and nodes of the region more quickly is a recurrent theme in the expansion programmes. AREX operates between Seoul Station and Incheon International Airport via Gimpo International Airport. Phase one opened in 2007 and services began on phase 2 in 2010. It has been procured using a BTO (Build Transfer Operate) contract with a 30 year concession dated from the start of operations. Phases one and two of AREX have cost 4 trillion won (2.73 billion euros). Phase one is 40.3 km and links Incheon International Airport and Gimpo Airport. Phase 2 is 20.7 km and connects Gimpo Airport and Seoul Station The 61 km of route have been built as double track. There are 10 stations. Trains can operate at up to 100 km an hour. It is being operated with 6-car sets until 2015 and will then be extended to 8-car sets. Immigration and check in facilities are provided at Seoul station which is the terminus of the high speed rail line from Busan. However, the procurement has been controversial. The state agreed, under the terms of the BTO contract, to repay the private sector consortium 90 per cent of operating losses. According to the Korea Times this was 166 billion won in 2008 when daily journeys on the line averaged 16,000. 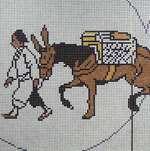 The consortium had projected 210,000 daily journeys. In order to spread the public debt the Korean government negotiated a re-structuring in 2009 which made KoRail the majority stakeholder. The state-run rail operator paid 1.2 trillion won but carries half of the remaining 28 year deficit. The projections used initially for the number of daily journeys after full opening to Seoul station and the introduction of the immigration and check-in facilities at a new extension there were 490,000. The national government will be anxiously hoping that road congestion and the boost anticipated from more co-ordinated operation of AREX and Line 9 will generate sufficient customers to make a reality of that very high projection from the late 1990s negotiations. It seems certain that the separate prices and ticketing regime for AREX has been a major ridership disincentive. The first phase of Line 9 links Gaehwa west of Gimpo International Airport with Sinnonhyeon in the east of Gangnam and opened in 2009. Gangnam is the second central district of Seoul and the principal area south of the Han River. Together, Line 9 and AREX allow journeys between Gangnam and Incheon Airport in less than an hour. Line 9 has been built as a three track system to allow both express and slower services to operate. Express trains cover the 25.5 km between Gimpo Airport and Gangnam in 27 minutes. The services which call at all stations take 44 minutes. Veolia Korea claim that all other modes take over an hour. The station platforms have screen doors and there are access gates for additional safety and control and the cars can be walked through to add flexibility and provide better safety in the event of an incident. The system is automated with a maximum operating speed of 80 kph. The stations have been built to high modern specifications and some include eco parks, performance spaces and exhibition areas. Several stations have direct access from buildings and the on-street entrances are equipped with folding canopies which can be used in a weather respondent way. A second phase of Line 9 is planned with 12 stations, which will extend the route to 38 km. Construction completion is envisaged for 2016. The operator is initially on a ten year contract. Veolia Korea has a business plan which is based on securing a further 20 years operating contract for the extended line. Several of the stations on Line 9 and on AREX are interchange stations with other fixed link lines and also with several of the region’s 400 bus routes. Connectivity between the fixed link lines across the Capital Region has been further enhanced by other recent schemes. Line 1 of the Incheon subway system is a 30 km route operated by Incheon Transit Corporation along a north-south alignment linking Gyegang in the north with the international business district in the south. Total journey time is 54 minutes. Line 1 connects with Seoul Metro Line 1 at Bupyeong and with AREX at Gyeyang. In future it will also interchange with Line 7, which is being extended at its western end. Incheon Line 1 is operated with 8-car train sets and carries an average of 220,000 passengers a day. The city authorities and the Capital Region and national government are planning two more lines. Incheon is the fastest growing city in the Republic with a 2011 population of 2.5 million people. The Incheon system and AREX will both benefit from the gradual delivery of the new city at Songdo, which is being developed by an international consortium. Although there is a multiplicity of investors and operators the authorities in Seoul have successfully implemented a fully integrated ticketing system for all lines except AREX. Several products are available to customers and some of these allow travel on all bus and rail based services throughout the area. Pricing is based on distance. As of February 2012 the minimum price for single tickets is 1150 won (€0.76, US$1.02) for cash customers and 1000 won for pass and card holders and other credit/debit card users. Contactless technology has been introduced and regular users have the choice of pre paid or post paid using credit cards. 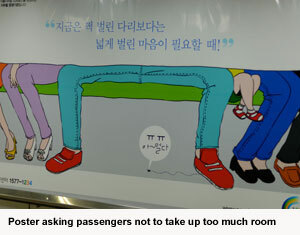 One example of the varied approach to products is the Commuter Subway Card which can be purchased for 2,500 won (€1.66, US$2.21) and can be used for 60 journeys in 30 days and subsequently refreshed. The 1000/1150 won minimum fare is for journeys of up to 10 km. The maximum 40 km is priced at 1700 or 1800 won. Senior citizens, disabled people and children under six travel free. Older children can benefit from discounted prices though once they reach the teenage years only if they buy a card. Metro operators have replaced older magnetic strip paper ticket with new radio-frequency identification (RFID) tickets since 2009. The current single-use ticket is a credit-card sized plastic card with the same RFID technology, which are obtained from automated machines in every subway station. A 500 won deposit fee is included in the price, and is refunded when the ticket is returned at any station. Although AREX (Airport Express) tickets are separate, generally they can be used on Line 9 for interchange at Gimpo International Airport. The evolution and expansion of fixed link mobility in the Capital Region has benefitted in the 1990s and 2000s from a strong culture of urban planning. Several new town areas have been developed and transport links have been planned and built broadly in tandem with these. Uncertainty about the future has emerged following the election of independent politician Park Won-soon as mayor of Seoul in October 2011. He has announced he will stop the new town building programme. The victory of Park Won-soon is seen as a challenge to the dominant forces in South Korean political life and the outcome of the parliamentary election in spring 2012 and the presidential election in December 2012 may signal a move to the left in the republic and strongly influence policy priorities and investment programmes in the next decade. However, the Capital Region, especially Seoul, has now developed a dense and effective metro and urban rail system. The use of touchless technology and other modern operational and customer service systems is far in advance of most major cities around the world. The quality and comfort of most of the rolling stock is also very much higher than in most cities. Ridership will also benefit from the increases in the use of inter-urban rail services to/from Seoul predicted in this decade as additional high speed line investments come into service and transform journey times between population centres. In the early 1990’s Guangzhou, China’s third-largest city, was becoming dysfunctional as economic and population growth was matched by pollution and gridlock growth. But the construction of the Guangzhou Metro has made the city one of the most mobility friendly metropolises in the world. In the late 1980s the local and central governments agreed that a new body be established to create a modern transport system. Urban transport developments had been attempted and abandoned no fewer than five times in the previous three decades in Guangzhou. The planning for the new system in the late 1980s and early 1990s involved expertise from France as well as other areas of China. The Guangzhou Metro Corporation (GMC) was approved and legally established as a large-scale enterprise entirely owned by the Guangzhou Municipal Government and came into being in 1992. Guangzhou Metro Corporation employs over 17,000 people, a number that is increasing as the system extends. It is responsible for construction, operation and management of the fixed link transport system in the city. Its activities have expanded over the years and it has a major real estate development function on land along the corridors of the developing metro system. Profits from the real estate division’s work are used in the funding of further expansion of the system. As the urban railway and metro planning and building programme has accelerated across China in the years since 2005 the public corporation has evolved further. Since 2009, the GMC’s in-house Design Institute sells its services to other cities. Also since that year the GMC has had a consultancy division which has been part of consortia which have bid successfully to deliver other urban transportation schemes.